A commercial bus driver has narrated to our correspondent how he was stabbed severally by a Mobil policeman. A mobile police man has allegedly stabbed a commercial bus driver in Rivers State. Destiny Gani was stabbed after arguing with the police officer, whose name was given as Innocent. 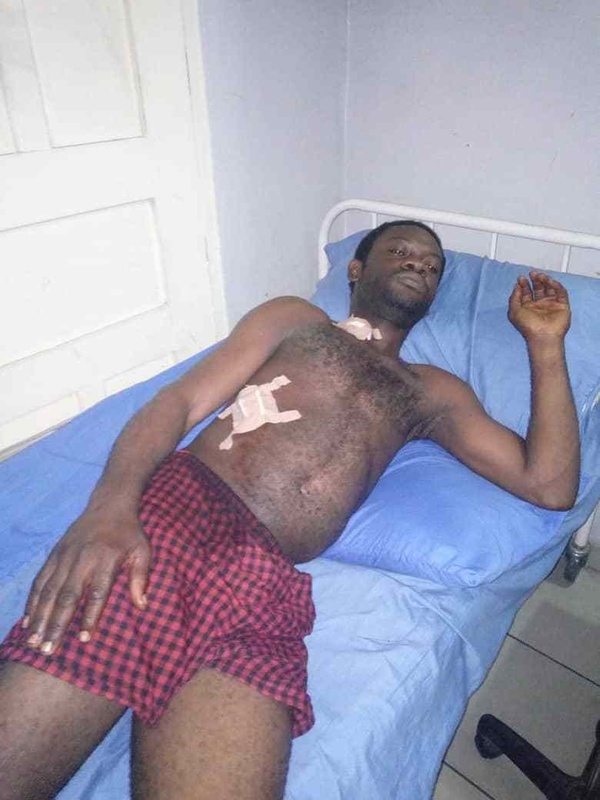 Gani, who is lying critically ill in Kristus Clinic along Eligbolo Road off Rumuokoro in Obio/Akpor Local Government Area of the state narrated to our correspondent how he was stabbed severally by the policeman. The Mitsubishi bus driver who plies Rumuokoro/Mile 3 route said, “a Mobil policeman came to me and asked me why I obstructed the traffic and before I knew, he had hit my knee with his rifle. “While telling him that I wasn’t the one who obstructed the traffic, he brought out a jackknife and stabbed my neck and rib”. The victim said some tests and operations had been carried out on him, adding that he was advised to go for treatment first before reporting the matter to the police. Rumuokoro axis of Obio/Akpor LGA regularly plays host to bloody conflicts between police personnel and commercial drivers over the illegal demand of money from drivers and traffic issues. In March, an out-of-state police officer escorting a truck shot and killed a driver simply identified as Bright at Rumuokoro roundabout for obstructing traffic. Cases of killings and assaults of commercial drivers in the state by policemen are yet to see full trial and conviction, as what the public keeps hearing is the abscondment of culprits.